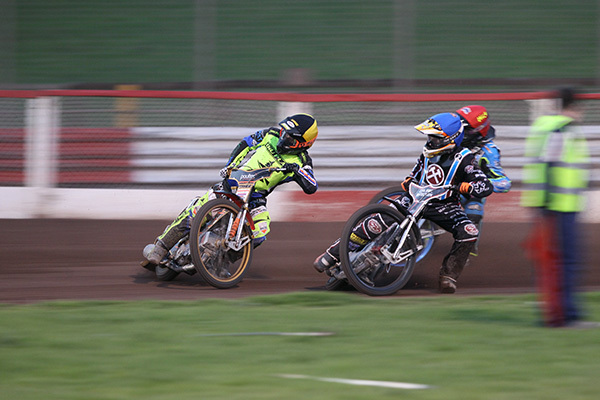 Lakeside moved to the top of the Championship table with a 52-37 home win over rivals Ipswich. Another dominant performance at the Arena-Essex Raceway saw the Hammers go level in the standings with Peterborough, but into first position on points difference. It was an impressive response from the Purfleet outfit who had fallen to defeat to the Witches in Suffolk 24-hours previous. They were majorly boosted by the return of Nick Morris who top scored for the Hammers after missing Thursday’s fixture due to a series of recent knocks. But he was supported tremendously by his team-mates too with each rider chipping in with at least one paid win. And boss Will Pottinger says his side again demonstrated how dangerous they are with a full 1-7. “We’ve shown that on one or more occasion and that is something that’s going to be key as we head into the business end of the season,” Pottinger said. “It was a solid team performance with a lot of the riders doing really well and even though Kyle (Newman) and Richard (Lawson) were frustrated by having a tough night, they still made the difference between Ipswich getting a league point and not getting one. “They still had a couple of really good rides as well and their contributions were important. “We’re all really grateful for everyone’s support and while we can’t control what’s going on off track at the minute, we’re determined to make it a season to remember for success on the track. The Lakeside management and promotion would like to thank the club’s fans for turning out in tremendous numbers and showing an extraordinary level of support after a tough couple of days taking recent news into account. The Hammers are back in action at the Arena-Essex Raceway next Friday (August 10, 8pm) where they will entertain Peterborough in a top of the table clash. Nick Morris 13, Adam Ellis 11, Ben Morley 8+2, Zach Wajtknecht 7+1, Richard Lawson 5, Kyle Newman 4+2, Alfie Bowtell 4+1. Scott Nicholls 13, Rory Schlein 10+1, Nico Covatti 5+1, Cameron Heeps 4+1, Coty Garcia 4, Mark Riss 1, David Wallinger 0.